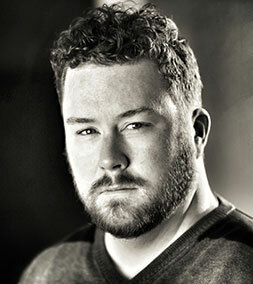 Scott is a Vancouver filmmaker who grew up in Grande Prairie. Scott directs commercials for Barbershop Films and has several feature-length scripts in development with his own production company, Ricebrain Media. Scott has developed and led a progression of training initiatives at the Reel Shorts Film Festival from the very first one in 2007. He developed a 2Â½-day Youth Filmmaking Challenge workshop for the 2009 festival and led it for the next four years, creating 11 short films that were hits with the fest’s audiences. They can be viewed here. It was replaced with more ambitious training programs during the fest’s production of two short films: The Horizon Project created during Shoot for Reel, a 2-week internship program in July 2012, has screened at festivals in Canada, the US, and Europe; and HB created during a spring 7-week Youth Film Mentorship Project in 2013 has screened at festivals in Canada and the US, winning Best Overall Youth Short Film at the 2013 Calgary International Film Festival and the Young Filmmakers Program Competition Grand Prize at the 2013 Austin Film Festival. In addition to being a judge for the Frantic48, Scott will be a panelist on the Looking for Laurels – Festival Circuit Tips from the Pros panel (Filmmaker Insights Panel 1) at 2:30 pm on Sat, May 9 at Grande Prairie Live Theatre. Scott is the Writer/Director of Outside the Lines. Along with Composer Chris McIntyre, he will participate in a Q&A after it screens in the A Criminal Act film package at 8:45 pm on Thur, May 7. The film can also be seen in the Peace Region Encore package at 6:00 pm on Sat, May 9 when the award for Best Peace Region Short will be presented by Decca Industries.